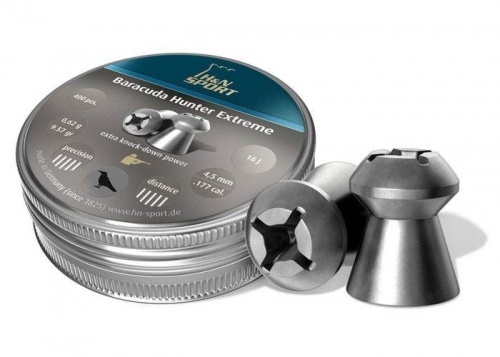 Baracuda Hunter Extreme .177 air rifle pellets have extra knock down power. Full tins of 400 per tin. They are 4.5mm .177cal pellets with the patented cross head formation. Each pellet is .60g / 9.26gr.